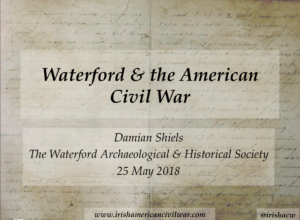 On May 25th Damian Shiels gave a talk in Waterford, and today kindly shared the audio/slideshow of it on his website, Irish in the American Civil War. 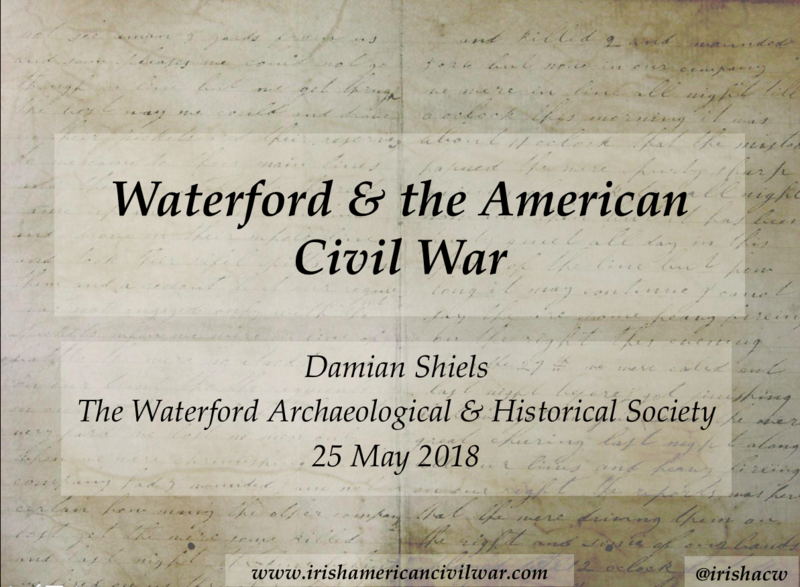 Although mostly specific to Waterford & the American Civil War, the first 20 minutes contain a terrific, clear and concise overview of the role of the Irish in the ACW (and the War itself) generally. The rest of the the talk is also superb, as Damian discusses his use of the extensive US federal pension data to learn about the life experiences of Irish veterans and their families in Ireland. It is well worth your time!